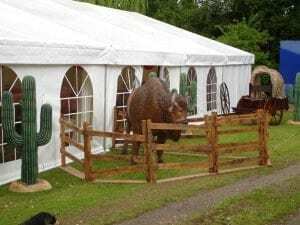 At Hadley marquees we understand that events are as unique as their hosts, with no two occasion ever the same there is no such thing as an ‘off the shelf marquee’. So as part of our consultation process we take care to listen to your needs and offer a 2d/3d design service so you can visualise your marquee before it’s set up. As a vital part of our bespoke and tailored service, we ensure we are always investing in the latest software. The possibilities are endless with a marquee and at Hadley Marquees we’re here to help you achieve the perfect party. We take the stress out of event planning and management by doing it all for you. We offer a bespoke service from conception to completion, we can recommend and co-ordinate all the suppliers to bring the event together. We can deal with the nuts and bolts such as generators, toilets and caterers to the finishing touches such as music, fireworks and ice sculptures – if you want it, we can get it. 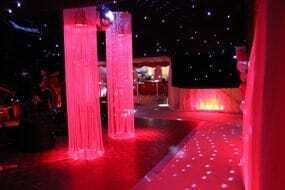 Party theming is one of Hadley Marquees’ specialities. We’ve brought New York to Newmarket by staging an elaborate New York skyline, back lit and using uplighters to further enhance this stunning recreation of the Big Apple. Fancy a night out at a contemporary and stylish bar? No problem – we can turn your marquee into the sleekest joint in town. Or let us help you create that classic and timeless wedding with elegant table settings and beautiful bouquets. There are no limits; a marquee is the perfect backdrop to your imagination. Hadley marquees have 24 years’ experience and we can offer a complete hospitality service, from event planning to logistical co-ordination leaving you reassured and with peace of mind. This unique and individual service means that we have helped create the perfect experience for hosts and guests alike. Event planning and theming for parties and other special occasions in Norfolk, Suffolk, Cambridgeshire and Essex by Hadley Marquees the event planning specialists.